In 2014 I was lucky enough to be awarded a scholarship that allowed me to travel to the US and visit a variety of emergency management services and medical institutions currently leading world practice with initiatives to improve survival from ‘Out of Hospital Cardiac Arrest’ (OHCA). 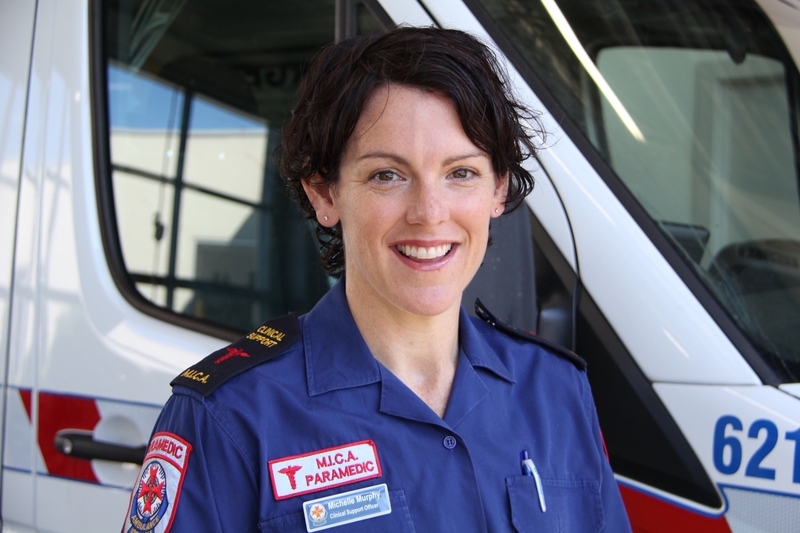 Cardiac Arrest affects thousands of Victorians annually. Currently in Victoria, ambulance and fire services are dispatched to out of hospital cardiac arrests in the community. The ESF Scholarship gave me the opportunity to visit two high performing world renowned resuscitation centres currently undertaking trials involving cardiac arrest patients – Chicago University Hospital and Philadelphia University Hospital. I spent time with their medical directors and saw first-hand some of the innovative ways they are approaching CPR training as well as post resuscitation management. The directors were able to share with me the outcomes of their work and the impact these outcomes have had in changing their respective EMS protocols and the difference this has had in patient outcomes from cardiac arrest. I had opportunity to undertake a ride-along in the various cities (Phoenix, Chicago, Seattle and Philadelphia) and observe first-hand the teamwork and performance of their members while attending cardiac arrest patients. Specifically I was able to see the benefit of feedback devices during CPR as well as the various airway management devices. Two of these EMS systems currently lead the world in survival from OHCA. Attending the Resuscitation Academy and completing the High-Performance-CPR training workshop was the highlight of the tour. I met with EMS providers from around the world and spent two days looking at key opportunities for improving outcomes from cardiac arrest. I then followed this up with some one-on-one time, addressing some of the issues we might face here in Victoria in implementing change and learning’s from their systems in how to overcome these obstacles. The take home message is ‘work smarter’ not harder. I have developed a package titled ‘Key Opportunities for Improving Outcomes from OHCA’ which has been rolled out across Ambulance Victoria and we have begun to measure the impact of this training with promising results in improved paramedic practice and patient care.